Sacredness, and content is important to Melissa. Whether it be traditional iconography, or the more contemporary collage, she tells a story through each piece of art. The mediums in which she works are very different, but the journey she takes to achieve a meaningful piece of art is consistently the same. She draws inspiration from many aspects of life, such as her beliefs, travel, the human figure, nature, and especially the extra-ordinary moments and people who’ve touched her life. A native of Colorado, Melissa now calls Lander, Wyoming home. 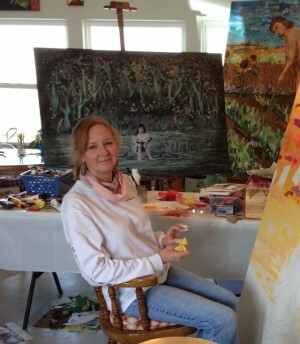 Her studio is nestled in the foothills of the Wind River Mountain Range. 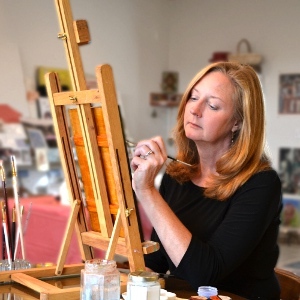 When Melissa is not making art she can be found beekeeping, working at ALCHEMY:an artists’ cooperative, or enjoying the local flavor of her community. Melissa is married with two grown children.